A Category 5 hurricane sweeps through the Southeast, uprooting ancient mosquitoes carrying a virus that causes the infected to crave human flesh. One year later, with no cure in sight, the region has become split over what to do with the victims. For the Hansen family, the answer is simple: kill them. However, all of that changes when the virus infects people they love. 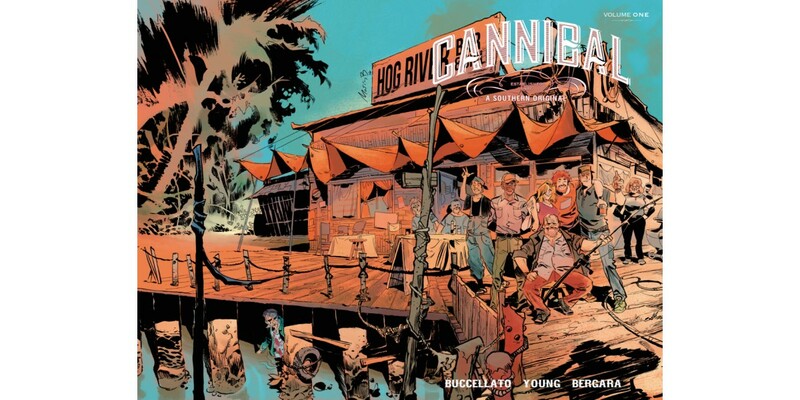 CANNIBAL is about a small Everglades town that is just trying to hold on to their everyday lives at the dawn of a cannibal pandemic. Told through the eyes of the Hansen family, it’s an anti-apocalypse story about a community that is too damn stubborn to give in. “Matías Bergara’s art drips with flavor.” —AiPT!